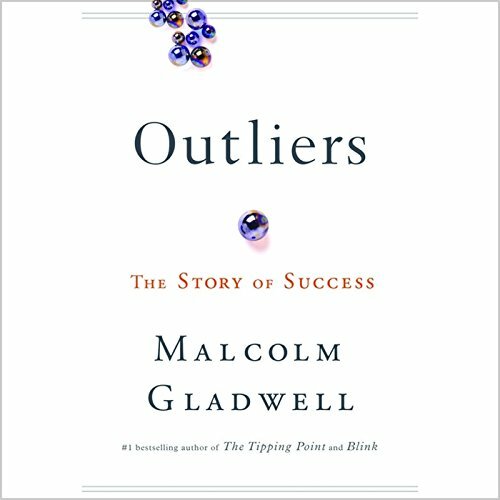 Outliers: The Story of Success (2008) by Malcolm Gladwell examines statistically anomalous people and events to better understand why individuals succeed or fail. Too many people toil under the myth of meritocracy.... Purchase this in-depth analysis to learn more. 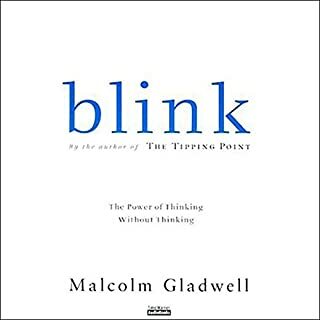 Malcolm Gladwell is a terrific writer; he's also an experienced and effective presenter. So when he's reading his own material it's a compelling package and I was totally hooked. He's dug up some fascinating statistics to back up his overall hypothesis: when someone is exceptional at something it's not just a case of luck or hard work. IT millionaires all born in the same 3-year period; high performers who all put in more than 10,000 hours of practice; entrepreneurs whose experience of being immigrants influenced who they knew and what they did - and many more fascinating examples. I'll definitely be listening to this again. As a teacher I have spent years praising kids for being smart, then, however,they rely on that to wing the exams. now I praise them for the amount of hard work they do to achieve their goals and they do better. Inspiring book, well read, and it has application outside its covers. 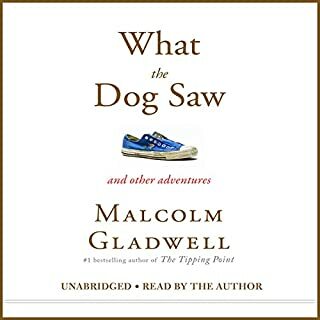 Mr Gladwell has a nice voice and is a natural storyteller, but unfortunately he cannot think straight for an extended period (such as a book). 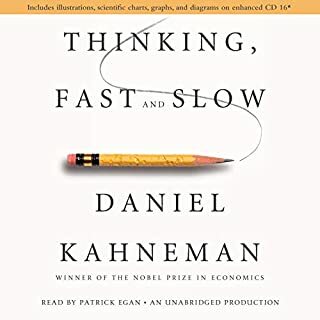 He contradicts himself: at one point, to succeed you need the 'right', well connected, parents (high IQ elementary kids) at another point the key to success (for New York lawyers in the 1970s) is to be born on the wrong side of the tracks (jewish immigrant). He has extraordinarily low standards of 'proof': having demonstrated that certain successes (Steve Jobs, Bill Gates etc.) got lucky breaks, he then breezily states, 'Now we have shown that circumstances are actually more important than raw talent'. I find this very irritating. The main thesis seems to be 'you need luck as well as talent'. Duh?? Is that a thesis or a statement of the bloody obvious? The three stars is because, despite all this, Outliers is quite listenable. It is so low powered and well read that you never need to hit the repeat button, which is handy if your hands are muddy (as mine usually are when I'm audioing). Its one of those books you can't stop listening to. I do feel however there isn't many ways to apply this to your life. If you've read Freakonomics, then you'll love this. 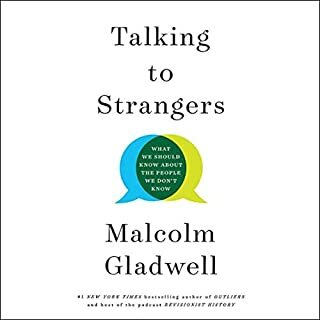 Malcolm Gladwell delves deep into the reasons and circumstances around what makes some people more successful than others. The people and groups he highlights will surprise you - but more so you'll be amazed at what things had to align for them to reach that point of success. Easy to listen to, simply stated but very engaging it was hard to pause while listening on my commute to work. This book is really well read by the author. The viewpoint he provides on how some people have got where they are challenges the idea that we are products of ourselves. He sets out to prove this point with a series of cases, each of which is entertaining to consider, but is by no means an exhaustive list. As such his argument is interesting and worth considering, but not rigorously examined. I cannot stop talking about this book. It is so interesting it just makes you pass on the knowledge but with vigour. Excellent listening, well researched but not too heavy. Demystifies success. well narrated by the author too. Another great MG read / listen. Probably my favourite so far and a much more in depth analysis in comparison to his others. You're bound to learn something about why some have succeeded and others have not. Fascinating and engaging and well worth the listen. I really enjoyed this even though it was short. I loved the aviation chapter and the last chapter at the very with a personal touch was great. I listened to every word and the narration was on point. I'd listen to this again for sure. I've always been a believer that you make your own luck. With hard work and with practice patience and persistence. This book has made me realise there are so many other factors to opportunities that arise in ones life. I definitely have a new perspective. Great book! I've always struggled to finish books as I get bored easily. I loved it and found it easy to get through as well as being very insightful and interesting. Where are the female outliers? The absence of women in this book provides evidence for an unspoken point that women have not been afforded the circumstances to prevail as outliers. Rather than leave this unaddressed and simply provide a playbook of male leaders, surely a chapter noting why women are absent from the book, is warranted? Extremely well written and researched. Flows so easily. 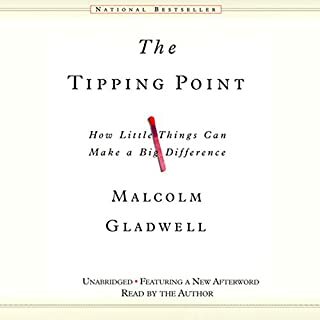 Gladwell is very easy to listen to and captures you not only with the content but with the pace and tone of his narration. Great isights, story arc and challenges your thinking/beliefs. Highly recommend it especially if you think if you made your 'best life' by yourself. Those that are given small incremental advantages consistently will be the most successful individuals in their industries. 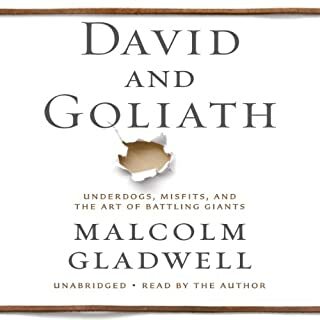 Gladwell takes the reader on a narrative journey spanning hundreds of years exploring the cultural context of those that are outliers.